This topic contains 15 replies, has 0 voices, and was last updated by Mike Haldas 7 years, 3 months ago. The installation software included on the CD, including the intelligent IP installer, that comes with Zavio IP cameras is for Windows only, but Zavio IP cameras work with Mac computers using the Safari web browser. So, many of CCTV Camera Pros Mac customers run into trouble when trying to install a new Zavio camera and they only have MACs and no PCs available to work from. CCTV Camera Pros has tested and documented the following setup process for Zavio cameras when using a MAC computer. Instead of using the IP installer that ships with the Zavio cameras, download and install the following IP installer program on your MAC: IP scanner for MAC. The program needs to be downloaded, unzipped and installed. Note: This program is free to use on small networks and will only display up to 6 IP devices discovered on your network. Once the MAC IP scanner is installed on your MAC, open the application and click the start button in the lower right hand corner of the screen. The IP scanner will begin scanning your network for IP devices. When your Zavio camera is found, you will notice that a device is found that starts with the name "Zavio-". Make note of the IP adddress assigned to the camera. Open the Safari web browser, and type in the IP address you noted above in the address / URL field and press return / enter. As the camera screen loads, you may be prompt to download a java applet. Confirm that it is OK to download. 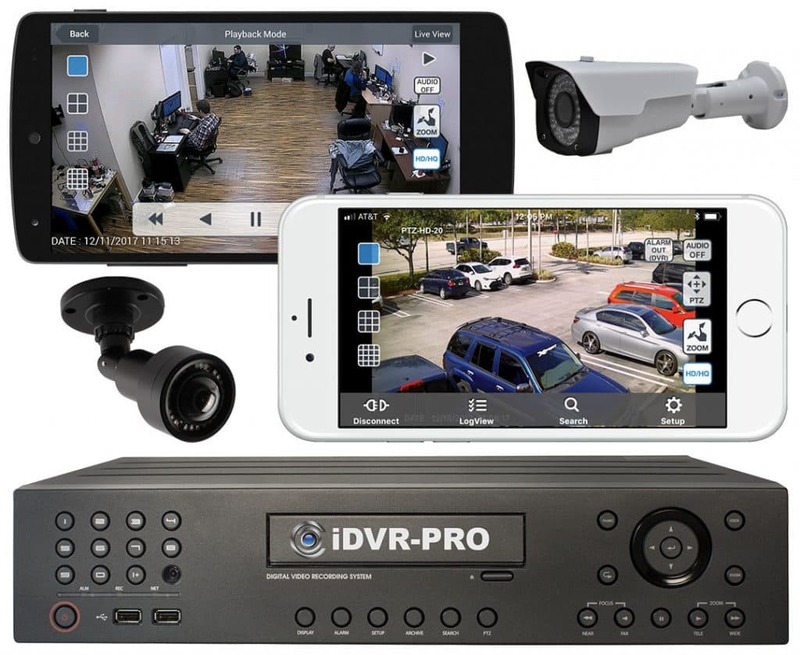 Once the screen fully loads, you should see a live view of the IP camera as well as access to all of the camera settings and controls menu on the left side of the screen. 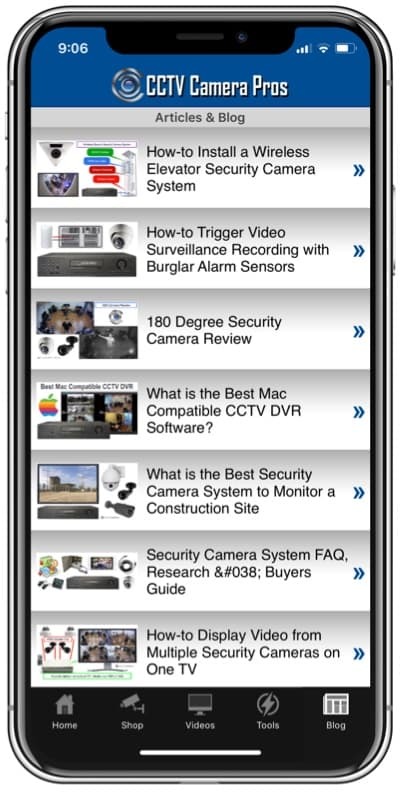 Please post any questions about installing Zavio IP cameras using a MAC to this forum thread. I have been fooling around with the camera, and here is where I am at. When I enter the IP address in safari I can see four boxes on the left. The language box, a settings box, a user box and camera icon box. When I click on the settings box I am brought to the web page that has in the middle "surveillance Tech.Innovator" with three arrows above it. There is no video anywhere. The lights on the camera indicate power and a connection to the network. Now what? By the way, the camera is recognized as "Zavio" and the manufacturer shows up as well. I have a feeling that your camera does not have the latest firmware which is required for MAC and iPhone access. Can you please email me your orderid and/or first and last name the order was placed under so that I can provide you with the latest firmware? I went to Zavio's site and downloaded the firmware for my camera. Stuffit cannot open the file due to ,"The file "/Users/danielplaut/Desktop/3500.F210A.03P5.bin" does not appear to be compressed or encoded. It is advised that you obtain further information about the contents of this file from the sender or provider of the file." Thank You for posting the solution that you can get Zavio cameras working on Snow Leopard by running safari in 32 bit mode. I did not know that you could do that and it is great information for other users. i can view on my iphone. i cant hv 2 way audio communication from iphone ( from pc i can) can u guide me on this,how can i have a 2 way audio from iphone or ipad !! Two way audio is not supported from iPhone. I'm struggling to set my camera up on my Mac. I installed the IP Scanner software as described above. But then realised I hadn't added the camera to my network. I got myself a cable and plugged the camera into my router. I've added the camera and given it a fixed IP address. I've rebooted the router and the camera still shows up in my list. Next I tried the IP address as the URL and sure enough can get a window up, but there is no picture. I get three options down the left hand side, one with a tick, one with a person shape, and a camera icon. Selecting the tick takes me to a setting.htm page but with no options. Selecting the person icon does nothing. Selecting the camera icon brings up four slider bars. I've taken note of what other comments have said, I've opened Safari in 32 bit mode, and can't think of anything else to fiddle, tweak, or otherwise alter. H E L P !!!!! If that does not work you may want to try running the camera using the JPEG stream instead of the MPEG4. Last try loading the camera back to its factory defaults. I have Zavio D610A, I can view it on safari on my MACbook intel Leopard 10.5, and can not view it on safari from my other Macbook pro Intel Snow Leopard 10.6 Or from Firefox on the same computer, I have try turning the 32 Bit, but it did not work out. I noticed that the rest of the view page appear but the java it self start the progress and The I get a withe page with the Zavio menu on the left. Please check to make sure you have the latest firmware installed.